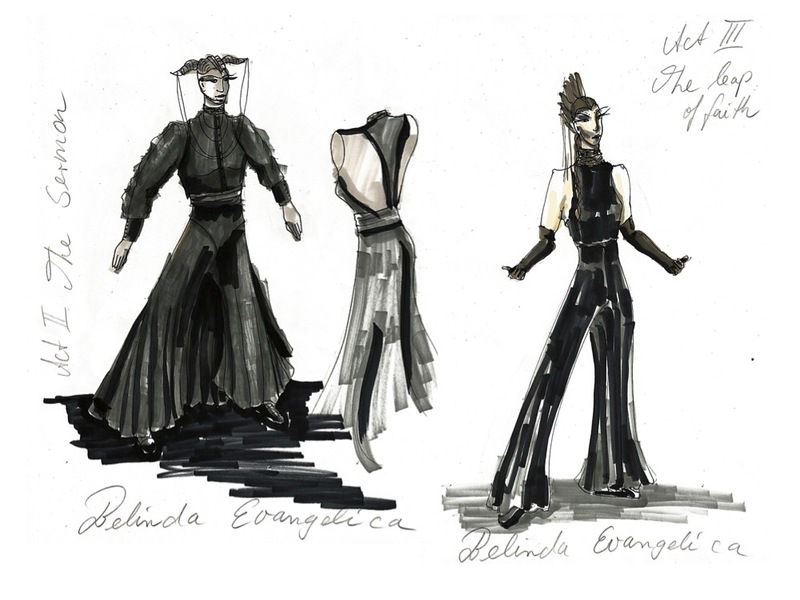 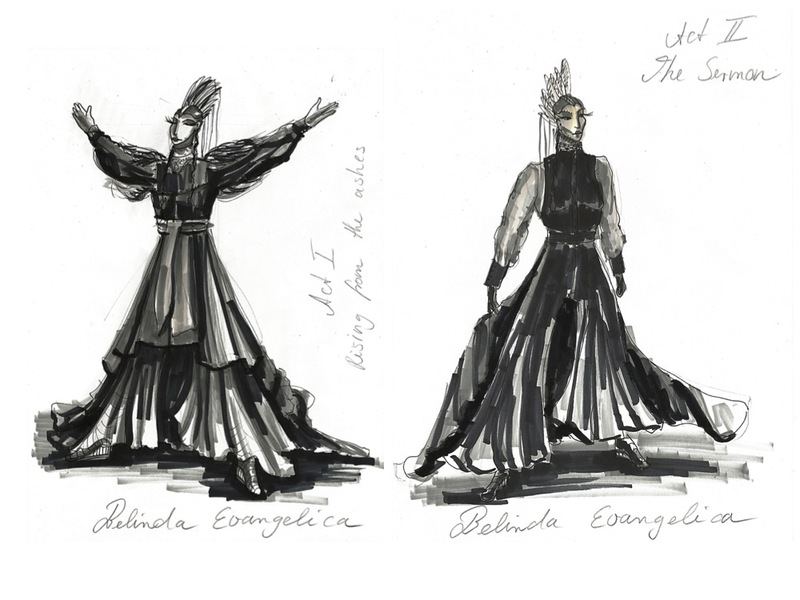 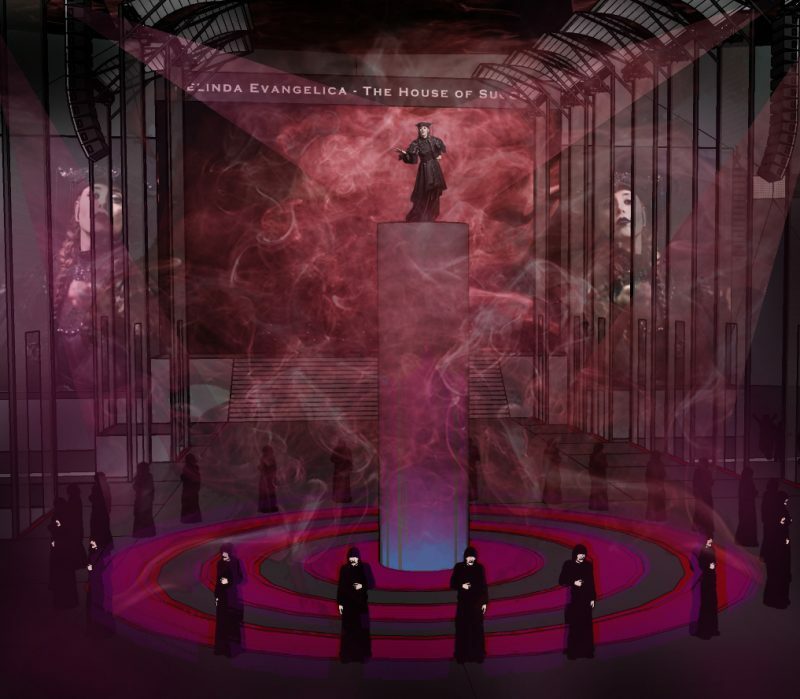 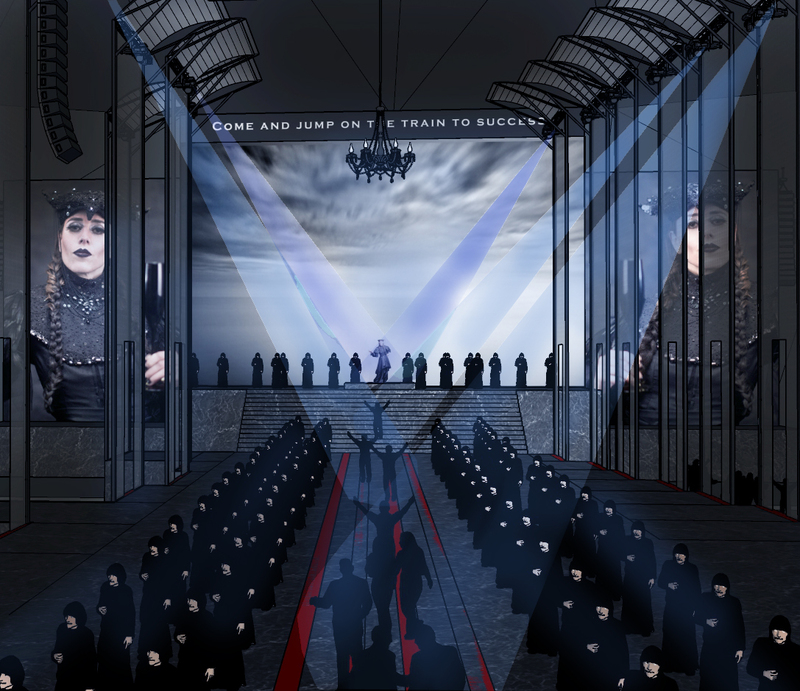 I have developed a concept for a show for Belinda Evangelica at London’s Wembley Stadium. 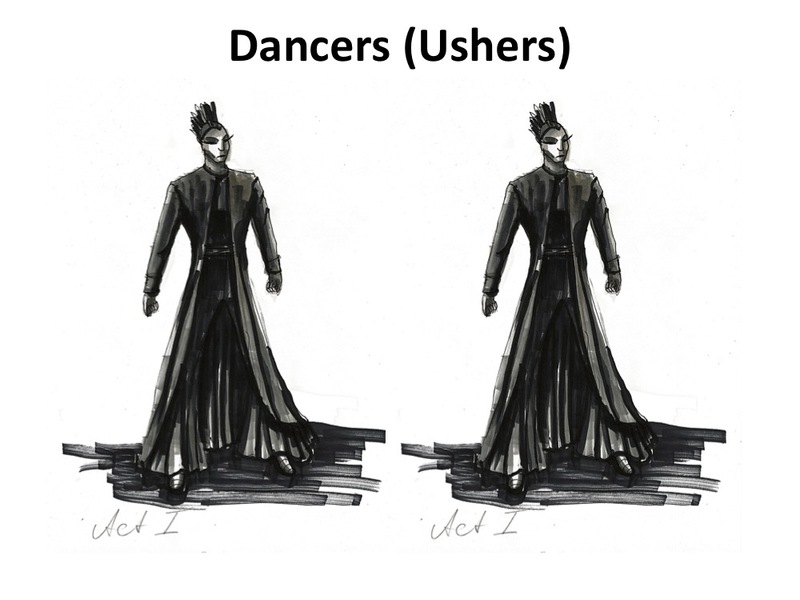 The slides below show my inspiration, a storyboard with some lighting ideas and costume designs. 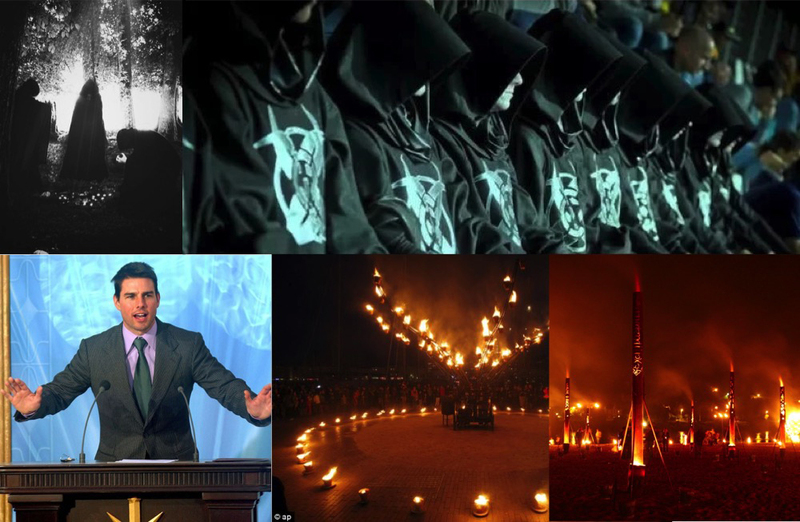 Inspiration for the overall mood, lighting and atmosphere came from cults and cultish organsations. 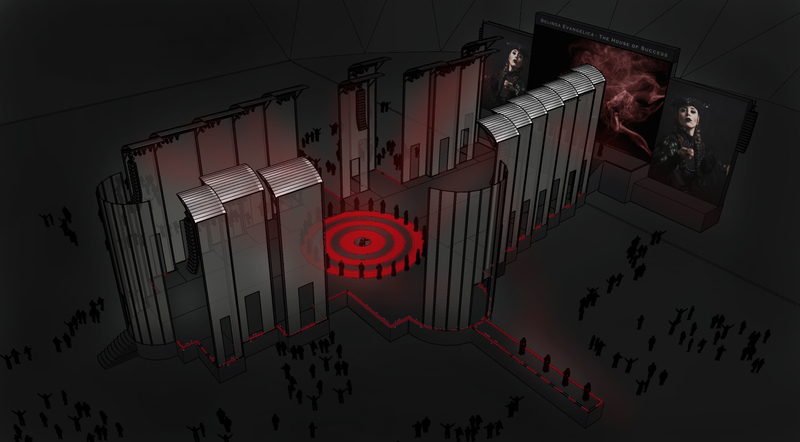 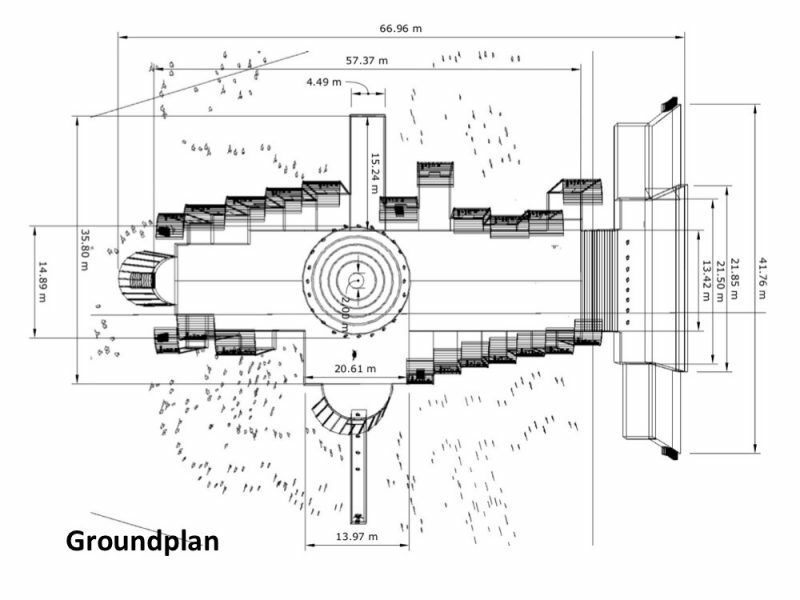 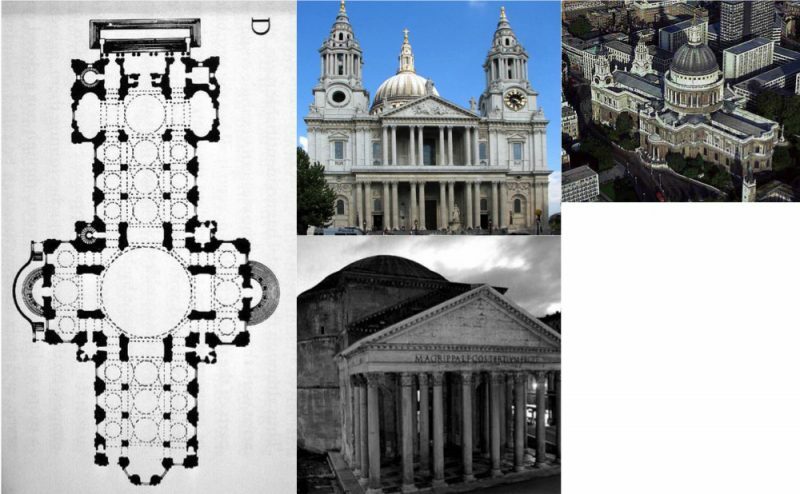 to which the groundplan of the stage is modelled to.